Parts fresh off of our production weld cell, check out the weld quality!! 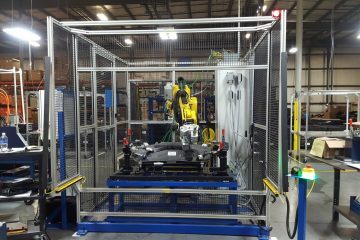 All Robotically GMAW welded from our production welding cell. Automated Stud Welding Machine, a high quality production machine, Studs on Straps! 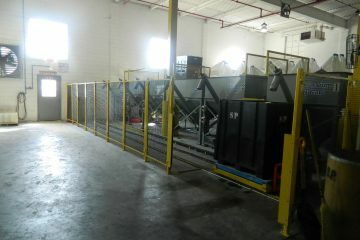 Robots for press tending tandem press lines. 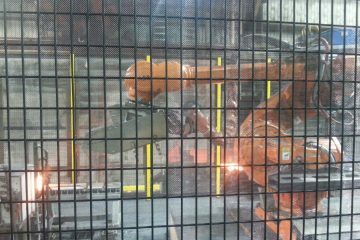 Fully Automated Welding Using Kawasaki Shelf-mount Robots. Fully Automated Ultrasonic Weld Cell Using Fanuc Robot and Branson Ultrasonic Welder. How hot is hot?. definitely a job for a robot and not a human, parts are carried at a temperature of 3000F. PLC, HMI, Robot programming or support to optimize your system. Ultrasonic plastics welding using Branson ultrasonics, Fanuc M1000iA, and Omron controls. As part of a manufacturing process a leading producer of crankshaft forging used an old hydraulic equipment manufactured in Germany and installed in the 1990s. Supplier to greenhouse industry adds automation. We began our journey over 20 years ago, providing on-site Engineering for Ford and Chrysler and grew into a well established automation solutions provider. We have since increased our capabilities as we have grown, now we are able to automate many different manufacturing processes. Automation is the right solution for any business. Request a quote here and we will contact you. 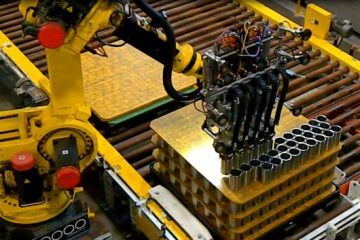 Automation systems can potentially increase production throughput up to 20 times compared to standard labour. Your business will be able to fill purchase orders faster, creating an opportunity for more orders. Before starting work on any cell, we create the cell in three dimensional space using various simulation software. This benefits your company by ensuring that every component is accounted for. 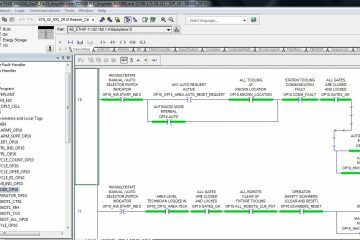 Simulations are also excellent for planning the floor layout regarding the automated system. Your company will be prompted to approve the simulation prior to mechanical assembly, making certain that what you want is what you get. This also gives an avenue for innovation of current processes. Through implementing an automated system your company will save on labor cost and gain efficiency. One time cost for the system your ROI is guaranteed. We can create a fully automated system for many varieties of applications. 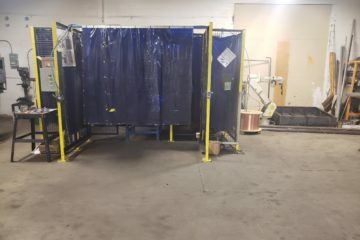 Starting from scratch, we implement custom solutions to solve your specific issues, from design to manufacture, assembly, and installation with long term support. 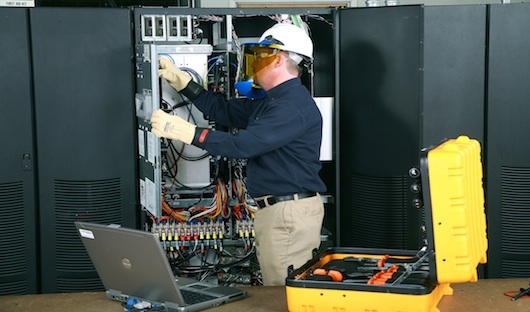 Automation systems provide solutions to very difficult, dangerous, or dirty jobs. Taking the risk of employing a human, with potential for injury, away in a much safer manner. You can’t replace a life, but you can replace a robot. Automation systems offer superb precision and repeatability. Processes that require a high level of precision can be implemented into an automated solution. This relieves the pressure of checking every part for quality control down to checking one or two parts a day to ensure quality. Increase your production and safety while lowering cost and producing outstanding results. 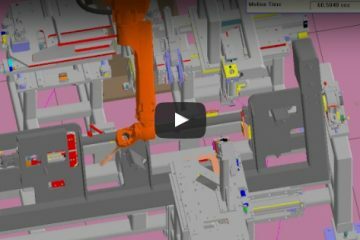 See how you can do all of this with ATSI Robotics Automation systems. ATSI Robotics and Controls – Providing Solutions. Accepting Challenges. A close-up view of the CNC doing some letter work on a piece of Aluminum. Parts for hemming that were made on our CNC. 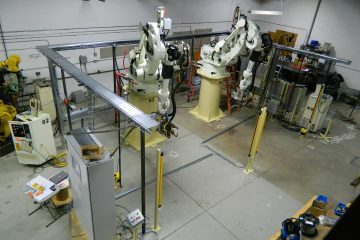 ATSI ROBOTICS has been providing Robotic Simulation and Programming to us for the last ten (10) years. ATS has a strong working knowledge and skilled personnel in this field. They have always been very professional, on time and worked efficiently at the projects that they were given. I would highly recommend their services to anyone in this field. Dan Bekcic, P. Eng., Vice President ARBEC TOOL & MACHINE LTD.
"For the last 10 years, ATSI has helped us by producing End of arm tooling for our IMM pickers. A great team to work with, the designs are well thought out and turn around time is extremely quick! Onsite support is provided upon request and very professional" I would highly recommend them for any EOAT challenges you may have.